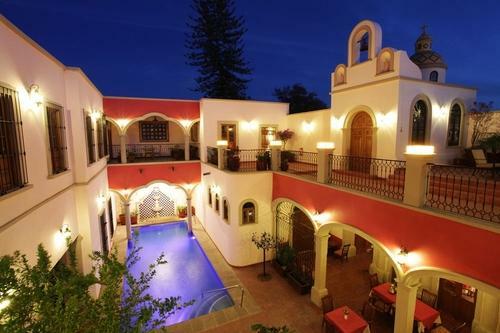 Gran Casa Sayula Hotel Galería &Spa is an exclusive boutique hotel in the historic town of Sayula, Jalisco, Mexico. An 18th century house of Mexican and French neoclassical architecture with 20 rooms finely decorated by the President of the Mexican Society of Interior Designers. Gran Casa Sayula was awarded the prestigious La Obra del Año 2011 by CNN Expansion Works and is a Distinguished Member of the Mexico Boutique Hotels Collection.